Ms. Cupcake » Christmas Pre-Order Menu 2015! 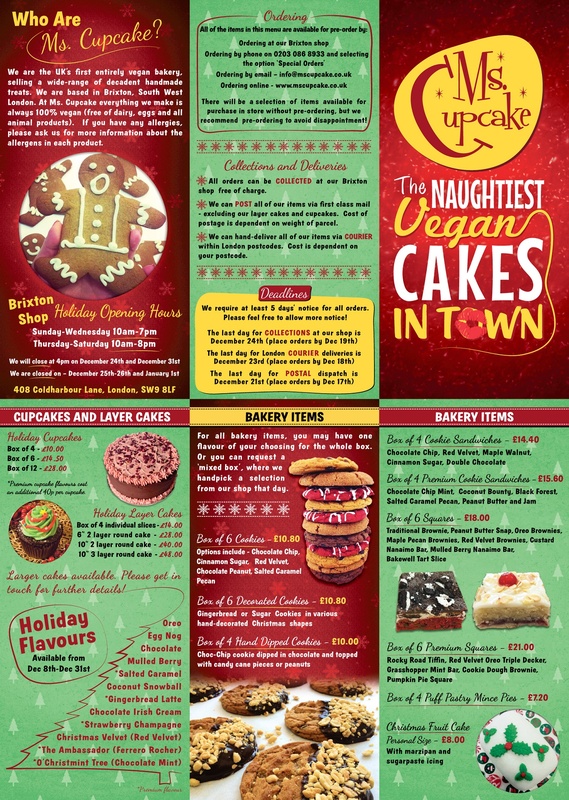 Ms. Cupcake > News > Cupcake News > Christmas Pre-Order Menu 2015! We at Ms. Cupcake are absolutely delighted to announce our 2015 Christmas Pre-Order Menu! In there you’ll find a decadent range of seasonal treats suitable for everyone to eat. Perfect if you’re looking to cater for someone with an allergy, intolerance or if they are following a particular diet. Treat yourself and have a wonderful Christmas. This entry was posted on Thursday, November 26th, 2015 at 2:55 pm and is filed under Cupcake News. You can follow any responses to this entry through the RSS 2.0 feed. Both comments and pings are currently closed.